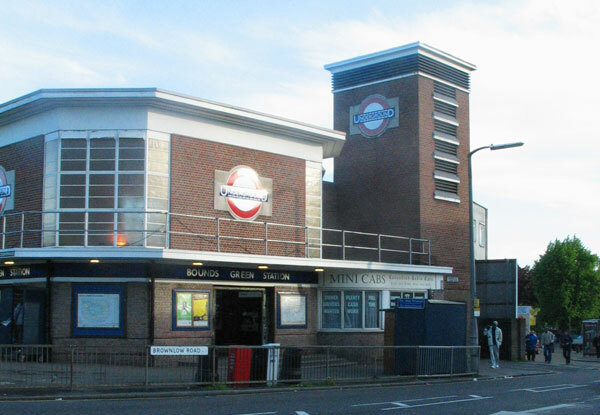 The thing about Bounds Green is there isn’t really a great deal to say about it. Not that everyone wants to live somewhere edgy. In fact, most people don’t. It just happens that a lot of journalists do, and try and coax you into moving to an area where the odds of getting robbed or getting an organic micro-brewery pale ale, are about even. The area was originally a popular overnight stop-over for travellers, and you get the feeling the slightly less adventurous decided to permanently set up camp on the fringes of Londinium. What we have is solid middle class suburbia. It is on the tube, but it isn’t Muswell Hill; so you can buy a family home for under a million. Something that is proving almost impossible these days. There is also quite a bit of green space, and you can wander up to Ally Pally, dress as a banana and watch the annual darts competition played there. As expected it is more expensive toward Muswell Hill and Alexandra Palace, however along Myddleton Road there are nice semis and large terraces. Mike Skinner of The Streets mentions Bounds Green on the track “Has It Come To This”, in the line “my underground train runs from Mile End to Ealing from Brixton to Bounds Green”…He is from Birmingham. If you prefer your music a bit (ok a lot) softer but actually from London, the band The Feeling are from here. London Lite, but can quickly dip into the delights of central London and get home safe and sound in under half an hour. It is just inside the North Circular, so you there is no denying you are still a proper Londoner. Normal, but what is wrong with that? Piccadilly line, Piccadilly Circus in 26 minutes. Bowes Park and Alexandra Palace stations via Finsbury Park, Highbury & Islington and Old Street to the City (22 minutes). Primaries: Rhodes Avenue and Bowes “outstanding”. Secondaries, Alexandra Park is “outstanding”. Drink at The Ranelagh a great real ale pub. Eat ZaynZah Indian restaurant. Also The Step, a cafe, bar and gallery located on Myddleton Road in the Bowes Park conservation area.